Zeke had just recently heard about a special traning chamber that was availble for use for people to train in. What made this chamber so special, was the fact that you could increase, or decrease the amount of gravity. Zeke had also been told that training at a higher gravity, than Earth's normal gravity, you can drastically increase you power. He decided to try out this special training chamber, in hopes of greatly increasing his own power. 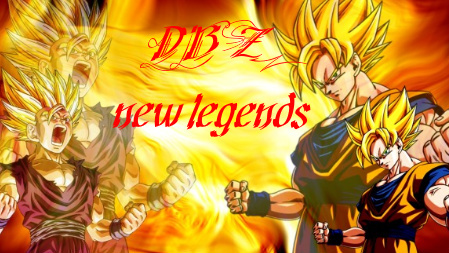 Zeke had been told about this chamber by his friends in the group he was a part of, the New Z-Fighters. They also told him how to get there, and everything they knew about the chamber, and how they themselves train there. They also warned him that even though he was powerful, and a Saiyan, that he should start out small. Gravity was a powerful thing, and could actually kill him if he put it up too high, and couldn't maneuver correctly. The gravity would crush him to death if he wasn't strong enough. They told him to start off at about 15 times gravity, and work his way up. Zeke didn't plan on listening to his friends. He wanted to have a near death experience, and was going to attempt to unlock is Super Saiyan form, and powers. He quickly flewover to the location of the Gravity Chamber, and tried to gain access to it so he could train. It was very early in the morning, actually it was only 8:00 in the morning, but Zeke planned on training all day, and didn't know what it would be like in the chamber, or how much time it would take, so he wasnted an erly start. When he got their, the chamber was guarded by only one person, and in order to get in, all Zeke had to do was sign a wavier, in case he got hurt whiel using it. He quickly, and gladly signed the form, and then entered the cahmber. It was very large, and spacious, and had a big computer-like control mechanism in which to control the Gravity of the Chamber, and such. Zeke did plan on trying to unlock his Super Saiyan powers, but he did want to start of small so as not to kill himself. He walked over to the control mecchanism, and turned it from Earth level Gravity, to times 15. He instantly felt heavier, and fell to the ground, crumbling under the weight. Ouch! Zeke exclaimed. He didn't expect it to be this harsh. This oughta be fun! He said to himself. He slowly got up, and stood firmlyon the ground. He tried to lift up his leg, which took alot of strength. He then set it down, and had taken a step forward. he repeated this for hours, eventually walking around the whole chamber, and getting used to the stronger gravitational pull. He then started doing various punches, and kciks as fast as he could. It was very hard, and intense, and sweat was pouring down from Zeke's face, and his clothes were ripping from resistance. Zeke did many kicks into the air, and alot of stretching, and exercise things such as push ups, and sit ups. This was very hard under the pressure of the enhanced gravity, but after about 5 hours, everything seemed normal to him, and it felt like normal gravity. Zeke even managed to learn how to fly around under this heavier gravity, which had been extremely difficult to pull off. At this point, Zeke's clothes had been torn to shreds. Luckily he had brouught a bag with him that had a few extra outfits just in case this exact thing happened to him. The New Z-Fighters had told him this might happen, and told him to bring extra clothes in case. He changed his clothes, and then walked over to the control panel to increase the gravity. He decided he would try to awaken his powers now, and incresed the gravity to 40. he fell to the ground as soon as he released the mechanism, and the number reached it's set program. Zeke was very tired after his training at 10x gravity, and hadn't even thought about letting his body rest before trying this. AAAAAAAAAAAAAAAAAARGGGGGGGGGGH!!!!! Zeke screamed. The gravity, and pain he was currently enduring was extremely intense, and his whole body felt like it was being crushed. I really want to unlock my Super Saiyan powers but if I dont lower the gravity, I'll be crushed, and die, and it won't matter if I reach the level of a Super Saiyan! Zeke thought to himself. He used every bit of strength he had to try and lift his arm. He had fallen right next to the control panel, so if he could jsut get up, then maybe he could turn down the gravity, and live. GAAAAAAAAAAHHHH!!!!!! Zeke was yelling with the pain, and stress that was being put onto his body. He was able to lift his arm, and then grabbed onto the edge of the control panel. He pulled himself up with every bit of strength in his body but he couldn't get up all the way. NOOOOOOOOOOO!!!! COME ONE!! I CAN DO THIS!!!!!! Zeke was crying now from pain, and stres, and tension on his body. He couldn't do this. He was going to die here. Suddenly power surged through Zeke, and he felt like he could easily be 10 times stronger than before. He was surrounded by a golden aura, and his hair felt different. It was all spiked up, and standing up mostly straight instead of being in it's normal shape. He also noticed he was now standing up, and the 40 times gravity didn't seem half as harsh as before. He instantly knew what had happened. He had done it. One of his life-long dreams. He had become.. A SUPER SAIYAN!! He jumped up and down, and shoute with joy. He easily ran faster than ever beofre, and could do many push ups without even breaking a sweat. He touched his hair, and it had taken a completely different form. He tried a few of his moves that invovled him using his Ki, and they also seemed much more powerful than they had before. He even blew up one of the obstacles that were set up in the chamber. He went over to a punching bag, and accidentally sent it flying into that wall, off the chain ti was dangling from. So this is the power of a Super Saiyan?! Zeke asked himself. It's aboslutely wonderfully amazing!!!!!!! He shouted with Joy. He then thought about something, and couldn't come up with a solution. Now how the heck do I exit this form? Zeke thought to himself. He had no idea to how to control this form, or how to enter, adn exit it freely, so he spent a few hours experimenting, focusing, and practicing with his Super Saiyan form. at the end of his little training sessions, he could successfully enter, and exit the form, and could control the power he used. Oi, I'm hungry! He thought to himself. Zeke decided to go home, eat, and get a good rest. He had done extremely well for the day, and was very proud of himself. He gathered up his things, and exited the chamber. He waved goodbye to the guard in front, and then suddenly, he felt just as powerful as when he had been in his Super Saiyan form when in the chamber at 40 times gravity. He felt increibly strong, and light. he tried to jump, and he easily was jumping three times as high as before. He then did a few punches, and kicks, and was really flexible. He than ran to get a good sart to fly home, and he was running at an incredible speed, easily 30 mph. He jumped into the air, and began to fly home. He could now also fly higher, and faster than before. I can't beleive how much stronger I have become after just one training session in the Chamber! Zeke exclaimed. He eventually got home, ate, and fell directly asleep as soon as he hit the matress, very satisfied with himself.